It just so happens, that around mid-April each year, we start to get this feeling from deep within our souls. It’s a warmth–a bright yearning for social interaction and exposure to sunlight as we begin our ascent out of hibernation. It’s springtime. So, thus begins our spring installment of City Sips. Over the next 9 weeks, we’ll be touring the good ole U S of A via beer gardens, outdoor bars, and rooftop bars. Essentially, we’ll be giving you a killer guide to outdoor R&R with a glass of sangria in hand. So, commence that drumroll, cause next up is……..
With round-the-clock nightlife, unreal cuisine reflecting its melting pot history, and a vibrant live music scene, New Orleans is a city unlike any other. Whether you’re a local or weekend visitor, you’ll find that the New Orleans drinking scene can please the masses with an extensive bar and club scene. 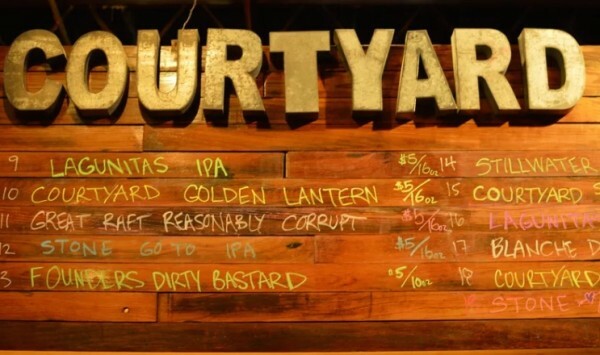 We’ve got our eye on a fairly new drinking destination, the Courtyard Brewery in the Lower Garden District. New Orleans first taproom not connected to a production brewery, family-owned Courtyard Brewery is definitely an experience you don’t want to miss. With 19 tap handles and new fermentation tanks on the way, Courtyard Brewery visitors can experience carefully crafted in-house brews as well as a selection of craft beer from around the world. If that’s not enough, Courtyard Brewery also hosts food trucks each night at 5 p.m. that offer everything from tacos to Creole food. So, if you’re in the area grab some pals and head to Courtyard Brewery for a laid back afternoon where you can soak up yet another aspect of NOLA’s culture. The post Spring City Sips: New Orleans appeared first on DRINKING IN AMERICA.